Just a few years ago, Bosch was OEMing MJPEG cameras from Arecont. 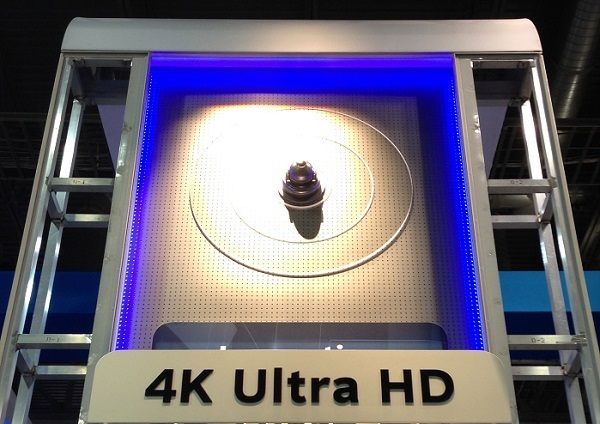 Now, they are the first to announce Ultra HD 4K surveillance cameras. In this note, we examine what 4K is, what Bosch plans to deliver and how this impacts their competitive positioning. HD today, in surveillance, means a maximum of 1080p / 30fps (2MP). Beyond that, a number of manufacturers provide 5MP, typically at 12fps or less, and just a few offer 10MP or higher (at very low frame rates). However, HD standards go beyond 1080p / 2MP. The next level 'up' is 4K/Ultra HD that specifies 3840 pixels × 2160 pixels (8.3MP) at 16:9 aspect ratio and 30fps. 4K support, even in the consumer space is still fairly new, and non existent within surveillance. Bosch plans to eventually offer further products to complement the 4K camera line, such as monitors, updates to their BVMS recording software, and transcoders. No details are yet available on these additions. The announcement enables Bosch to claim new ground within the market. Not only are there very few cameras available in the market at greater than 12MP, none of them deliver anywhere close to 20fps. On the other hand, many believe that the megapixel race is over. Minimally, though, having higher resolution cameras than competitors (like Axis, Sony and Panasonic) will give Bosch a marketing advantage. Ultimately, the pricing premium and the actual quality difference will determine how much of an impact this has. However, Bosch now has significant momentum, with this coming on the heels of their Starlight series low light cameras earlier in 2013, and their 1080p WDR models in 2012. The addition of panoramic cameras to their line further serve to round out their portfolio. If Bosch continues development of their line such as the 4K models, they could become one of the strongest competitors in surveillance, a remarkable achievement considering how far behind they were just a few years ago.